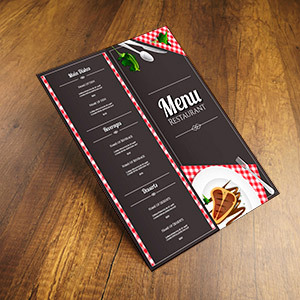 The Print Brokers offer menu printing for restaurants and takeaways. We offer excellent prices for printing your menus. These can be a variety of sizes and paper types.